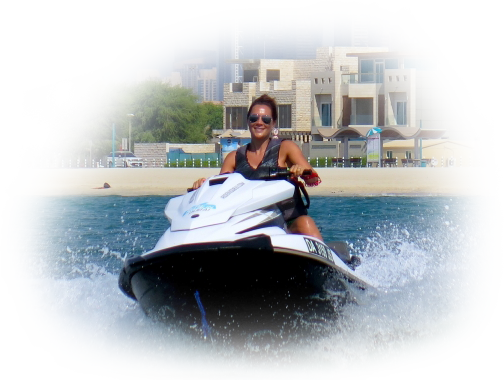 Ride In Dubai is a professional watersports company, specialized in Jet Ski and Flyboard. Our mission is to convey our passion for these 2 activities for which our team became professional riders and instructors. 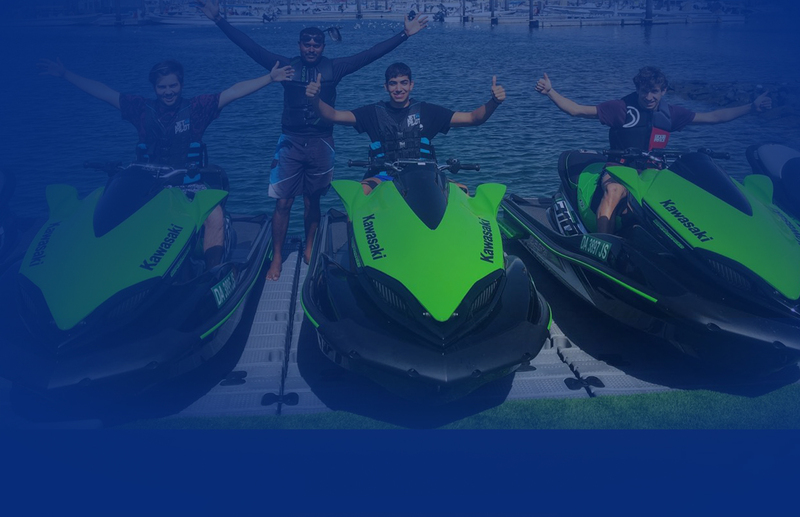 We aim to provide you with a high quality service in order to make your Jet Ski or Flyboard experience one of the best in Dubai. This is the reason why being specialized let us help you in your research of a quality Jet Ski rental or Flyboard ride. Professional and experienced jetski & Flyboard team and instructors. 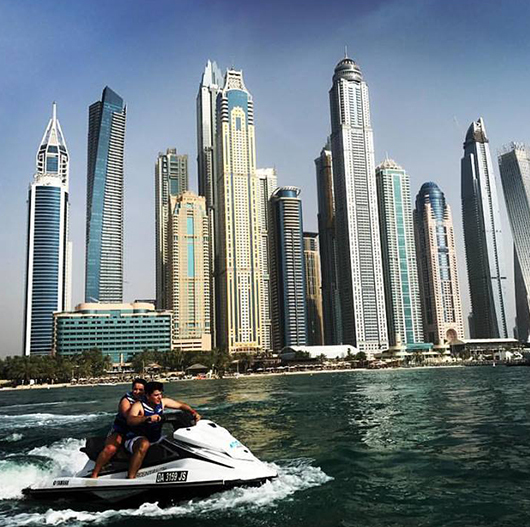 Ride In Dubai only uses professional equipment,also we offer only the best Jet Ski, Flyboard and equipment currently available on the market. Our brand new Kawasaki 1500cc 310r edition upgraded are in adequacy with our quality service policy. Comfort seat for 2 persons. 1500cc with a lighter hull for a higher speed. Latest break and reverse technology. Back step to jump back on the Jet Ski from the water. Instructors will be leading the tour in Dubai for your safety and catch any danger coming before it reaches to you. He will assist you in your riding skills and help you regarding any problems you may face during your Jet Ski trip. Flyboard is from the original Zapata Racing Factory by Franky Zapata, a famous French Jetski racer and friend of the Team who provides us with the latest equipment released so you can be sure you are experiencing the best available. We have Flyboard experience can be tailored to suit all levels also our Flyboard experienced instructors can assist and teach a first timer, beginner, intermediate or a professional Flyboarder. 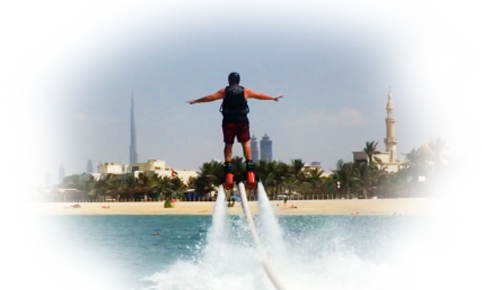 Our session are personalize as per your demand, to the learning session to a free ride session on the sea of Dubai. Instructors are all professionals and trained in Europe, certified in both activities.Your instructor will be the one assisting you from A to Z during your experience, therefore it is important to us that they are able to provide you with the service you expect.Very versatile in the all aspects of these water sports activities in Dubai, they are very well experience and will make you enjoy your moment with us at Ride In Dubai.